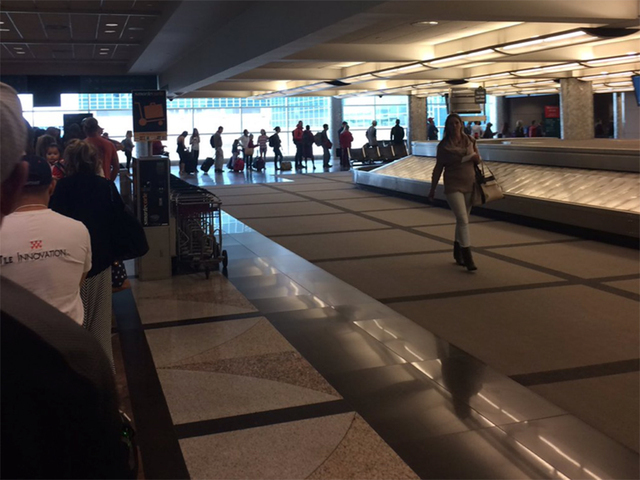 The free A-Line train to Denver International Airport might be the talk of the town right now, but it's not the only place travelers are experiencing long lines. Wait times to pass through TSA security at DIA were an hour to 90 minutes long late Saturday morning, Heath Montgomery, DIA spokesperson confirmed with Denver7. Passengers on twitter said lines to get through security screenings were wrapped around the luggage claim area. "The airport is just as frustrated as our passengers," Montgomery said. Sources told Denver7 the long lines at the screenings were due to staff shortages. Passengers took to Twitter to voice their frustration, some making light of the situation. Been in #line with these people at #denverairport #TSA that I expect to see them at my #birthday this year. @DENAirport the security line is out of control. Who knew you should show up three hours before a flight. @DENAirport Get it together DIA! Your security lines are a damn joke this morning. Staff your facility FFS!! @DENAirport When your security line winds all the way back through baggage claim, you're doing it wrong. ? In order to alleviate the long wait times, staff are in line with therapy dogs. They're also handing out bottled water and candy to frustrated travelers.